Many are familiar with the composer and artist Brian Eno. But did you know that Brian has a younger brother, Roger Eno, who is also an accomplished composer, musician, and sound installation artist? Here is a beautiful piece, “Fleeting Smile,” by Roger Eno, from the Brian Eno compilation album of various composers’ work, Music For Films III (1988). It evokes for me a mashup of Erik Satie and Nino Rota, and is wistfully beautiful, like a fleeting smile. A Brief History of John Baldessari, directed by Henry Joost and Ariel Schulman, and narrated by Tom Waits. 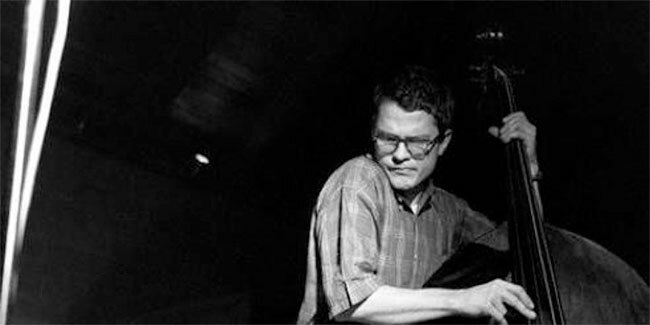 No one wants to be remembered most for what they did at 22, but history will forever recall Charlie Haden for his role in Ornette Coleman’s great quartet of the late 1950s…. Coleman remains surprisingly controversial today, but he and Haden and Don Cherry and Billy Higgins had incontrovertibly changed the direction of music. Haden—who died Friday at 76, from complications of the polio he contracted as a child—was perhaps the least likely revolutionary in the bunch. Born in Shenandoah, Iowa (a town that shares a name with a famous folk song), Haden grew up playing country music in a family band. Despite making his name in a genre that often rewards flashiness, he was a resolutely unpretentious player, notable for the notes he didn’t play and for always being in the right place. Haden and his most frequent and fruitful collaborators during a long career were musicians steeped in American traditions, who synthesized a range of musical genres and spat them back out in varyingly eccentric and original ways. While Haden may have seemed like an unlikely revolutionary, his firm grounding in the roots seems to have been what enabled him to be such an effective radical. “I think it’s very important to live in the present. One of the great things that improvising teaches you is the magic of the moment that you’re in, because when you improvise you’re in right now. You’re not in yesterday or tomorrow — you’re right in the moment. Being in that moment really gives you a perspective of life that you never get at any other time as far as learning about your ego. You have to see your unimportance before you can see your importance and your significance to the world. 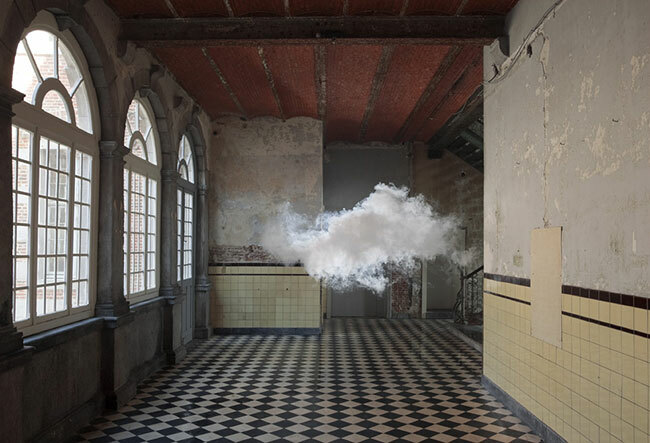 Dutch artist Berndnaut Smilde creates strikingly beautiful, fluffy clouds indoors. These luminous, ephemeral ghosts of vapor float through interior spaces for a few fleeting moments before literally vanishing into “thin” air. Smilde has received a lot of press for these works, but he has an extensive body of very interesting work beyond the “cloud projects,” which you can see on his website, which is linked below, along with a number of articles about the cloud works. Picking up on the Woodrow Wilson theme from Martin’s recent post about Arthur Samuel Mole’s living photographs, here is a performance of what must be the funniest and most unusual song “about” the 28th President of the United States, by the late, great Vic Chesnutt. The song begins about 2:42 into the video. This performance was from September 15, 2008, in Castellón, Spain. A beautiful recorded version of this spare song appeared on Chesnutt’s 2007 album, The Salesman and Bernadette, and features Emmylou Harris on background vocals. Incidentally, Woody Guthrie’s full given name is Woodrow Wilson Guthrie. So that’s another interesting Woodrow Wilson reference to contemplate. A great video of Paul McCartney rehearsing Blackbird in the studio, c. 1968 Beatles White Album sessions. Love the close-up of the wingtips toe tapping.